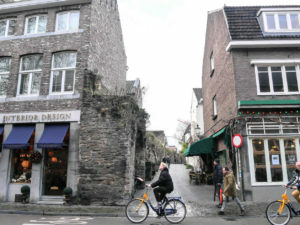 Maastricht is one of my favourite cities in the Netherlands. It’s also a Dutch city which looks the least Dutch. It’s at the border with Germany and Belgium and it’s architecture, culture and cuisine are very much influenced by its neighbours. 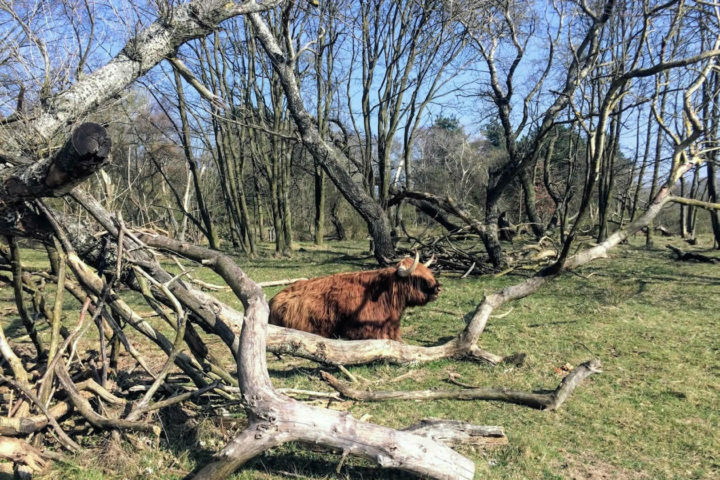 However, it’s also a great place for a weekend break. So, here is my selection of 10 things you shouldn’t miss in Maastricht. Basilica of Our Lady is a beautiful Medieval church which looks a bit like a fortress. 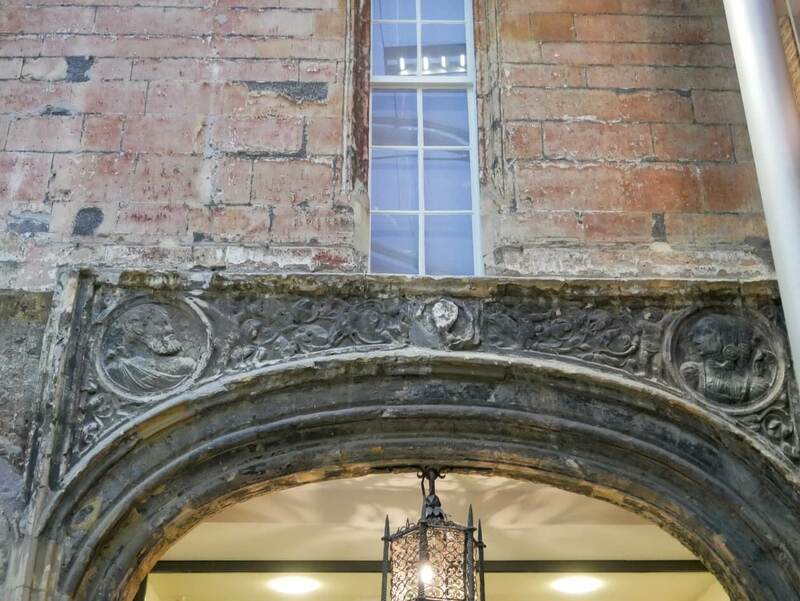 The reason is in a massive westwork at its front. When the church was built, city walls weren’t built yet. So, in case of a danger, people of Maastricht could hide in a church. That’s also the reason it doesn’t have any windows in its nave and it’s completely dark in the inside. It’s definitely one of the most interesting church – fortresses I’ve ever seen. *TIP: I had a lunch in a restaurant just behind the church and I really loved it. It’s name is La Bonne Femme and I had the most beautiful view on a church from its top floor. The food was also delicious! 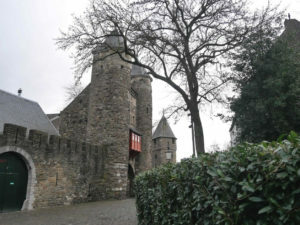 The main square in Maastricht is called Vrijthof and you’ll find many beautiful houses on it. It’s also the place where one of the best Dutch Christmas markets is organised each December. 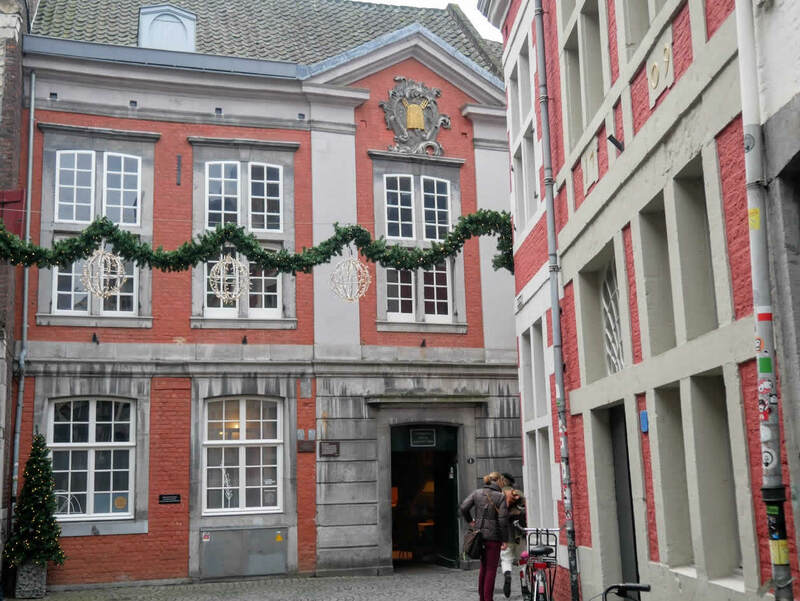 One of the buildings on a square is a Museum aan het Vrijthof. It’s worth paying a visit to it just to see its lobby. 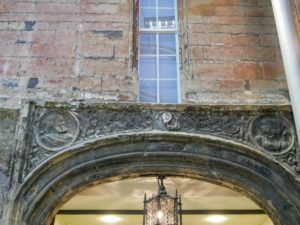 My favourite detail there is a stone relief of a Spanish king Philip II who started the 80 years long war with the Netherlands in the 16th Century. 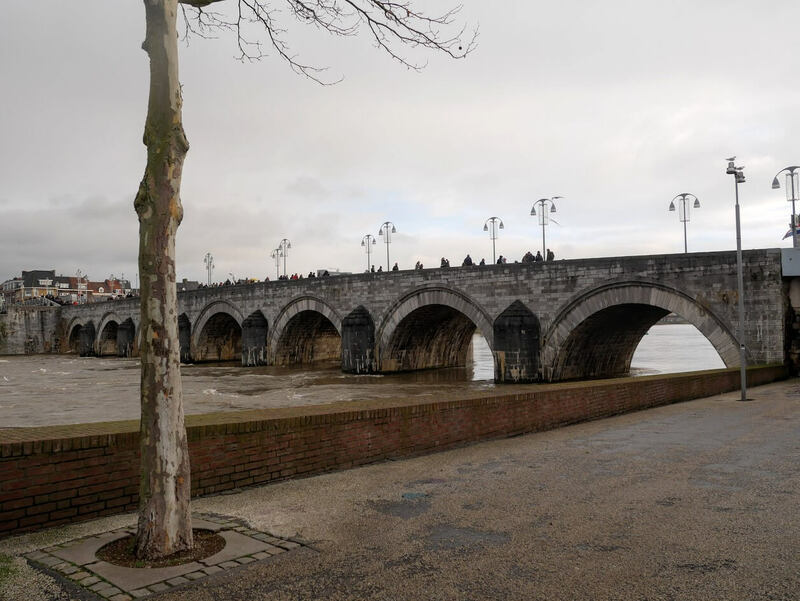 People of Maastricht smashed the statue’s head to show how much they dislike king Philip. Definitely an interesting history lesson. On the Vrijthof there are two Medieval churches as well. 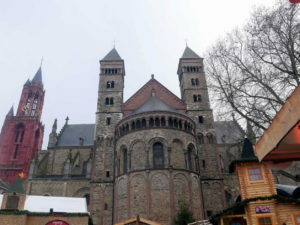 Romanesque Basilica of Saint Servatius witch was an important pilgrimage sight. I loved walking through its atrium and visiting its treasury as well. 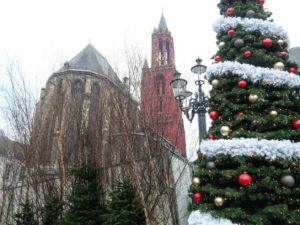 Next to it is a Gothic Sint-Janskerk, the main Protestant church in Maastricht, with its distinctive red tower. 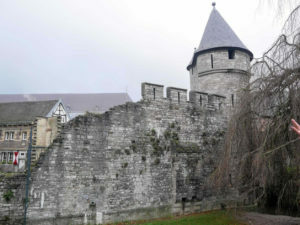 You can see old Medieval city walls from the 13th and the 14th Century in many places in Maastricht. There are even some old city gates and fortifications that can be seen on them, too. 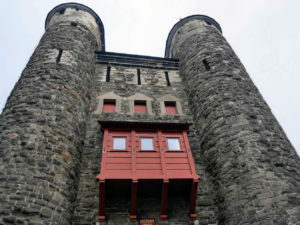 *TIP: There is an old toilet on one of the towers at the city walls there. You’re going to find it close to the Hell’s Gate on the side of a park. A part of the old city fortification system, Hell’s Gate were built in the 13th Century. 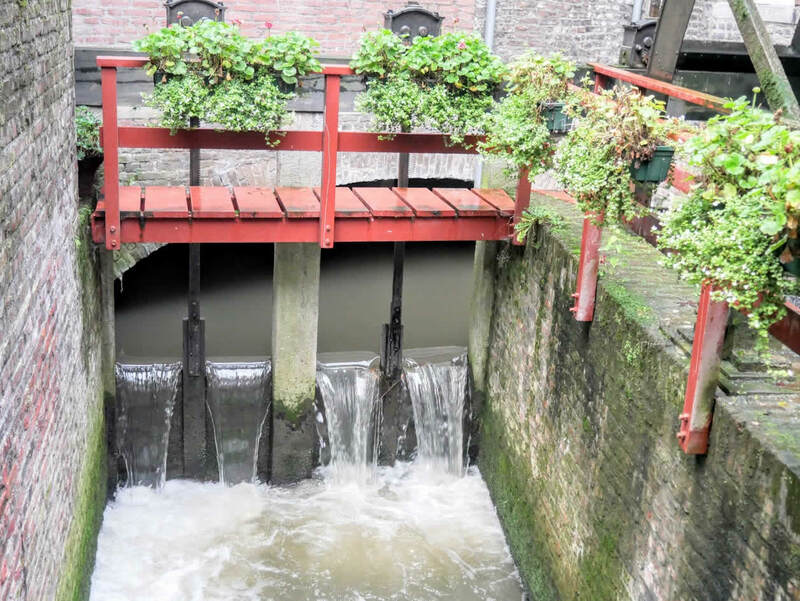 They are the oldest city gates in the Netherlands, so definitely an interesting place to see when in Maastricht. Maastricht’s City Hall was built in the 17th Century as a replacement for the old Medieval town hall. Russian tzar Peter the Great was amazed by its tower and its influence can be seen in some churches in Moscow. A market is held each Saturday in front of it. I always like to explore residential neighbourhoods in a cities I’m visiting. 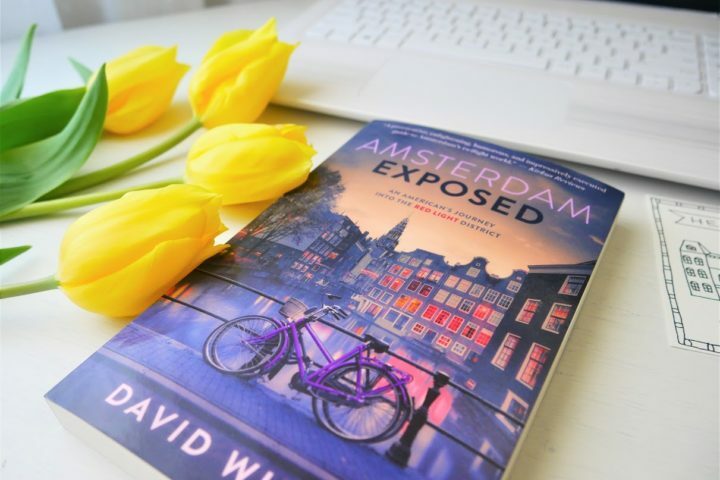 I believe it’s the best way to really get to know the city and its every day life. Maastricht was famous for its pottery production, so hence the name of the neighbourhood. Right on the opposite bank of a Maas River, Céramique neighbourhood is a home to some interesting modern architecture today. Definitely a place to go for that afternoon cup of coffee. 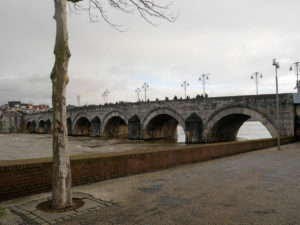 Sint Servaasbrug is a stone bridge over the River Maas which is also the oldest bridge in the Netherlands. 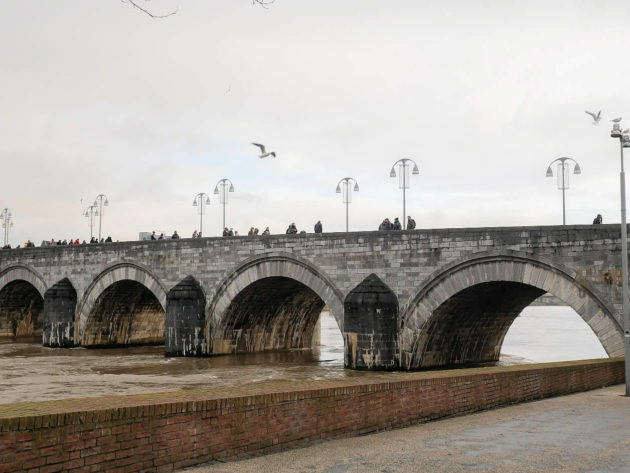 It was built in the 13th Century on a place of the former Roman wooden bridge that collapsed a few years before, killing 400 people. 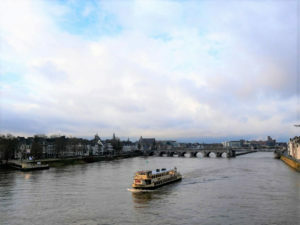 Walking next to the Maas River and crossing some of its bridges will give you some of the best views on a city. So definitely put that one on your list of things you shouldn’t miss in Maastricht. 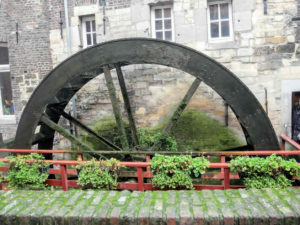 Bisschopmolen is a lovely old mill from the 7th Century located right in a city center. They still produce flour there and you can try some of the delicious products made of it in a bakery next door. 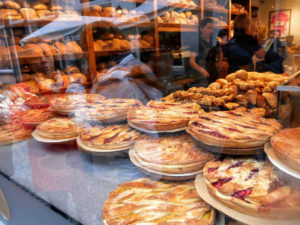 *TIP: The most famous product you’ll find in a bakery is Limburgse vlaai. A local cake made of a flour from the mill. They say the one here is the best in town! I have a thing for libraries and bookstores. So whenever there is a chance to visit a very special one I won’t miss it. 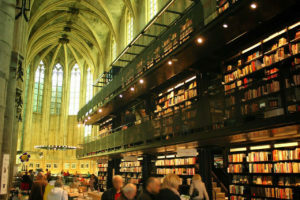 And the one in Maastricht is definitely worth visiting. 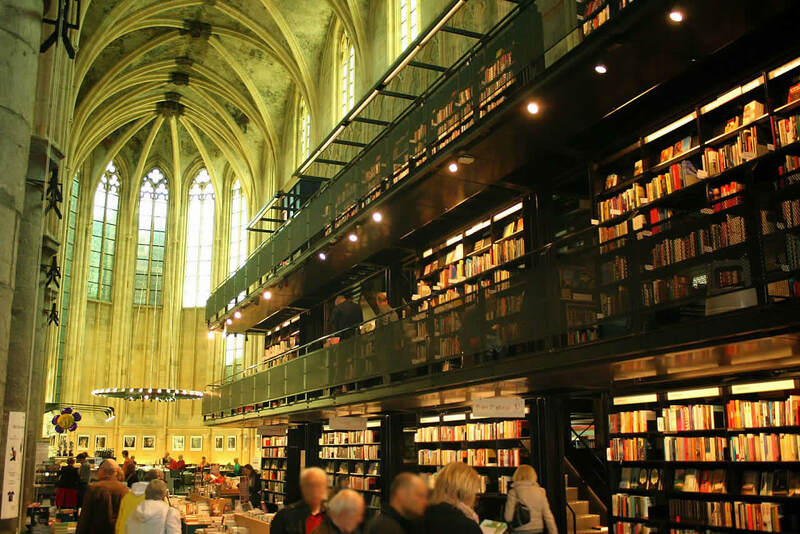 It’s located in a former old Dominican church which is now converted into a beautiful bookstore. You can find numerous books there and spent hours just browsing through them. *TIP: One of the oldest wall paintings in the Netherlands is also there. It’s right above the cashier, so be sure to check it out when there. While I was wondering through the streets of Maastricht, I’ve stumbled upon the F(r)ee city tour Maastricht. So, I’ve joined it and learned so much about Maastricht. 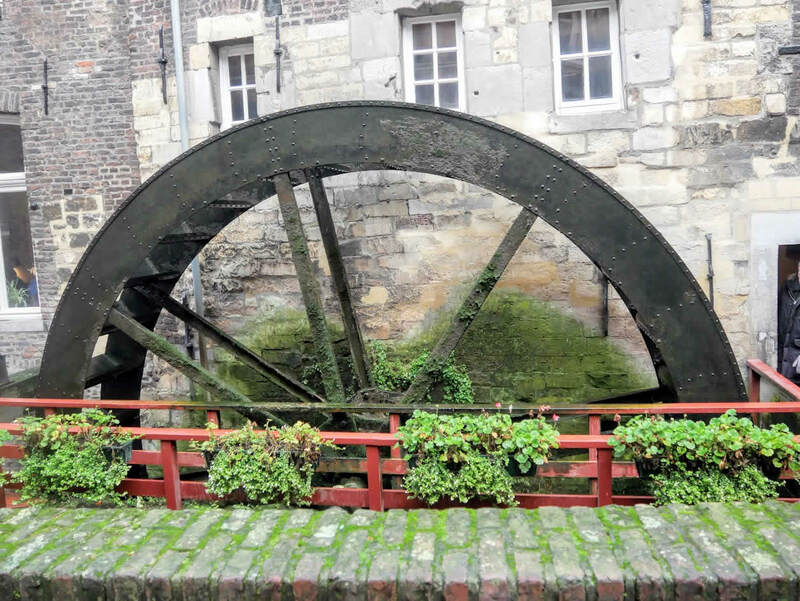 Although I don’t like this kind of tours in a bigger more touristic cities, they are a great way to explore smaller unknown cities. So, I definitely recommend this one in Maastricht! Are you planning to visit Maastricht? Or have you already been there? Share with us some of your favourite places in a comments below. I stayed just off the vrightof square luved it. 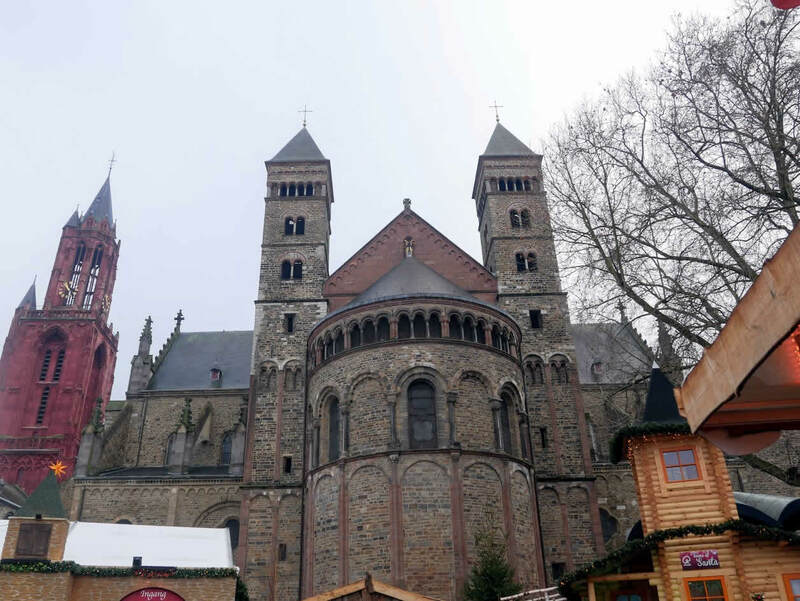 Being an Andre Rieu fan l visited his castle, studio and St Peters church. Lovely. 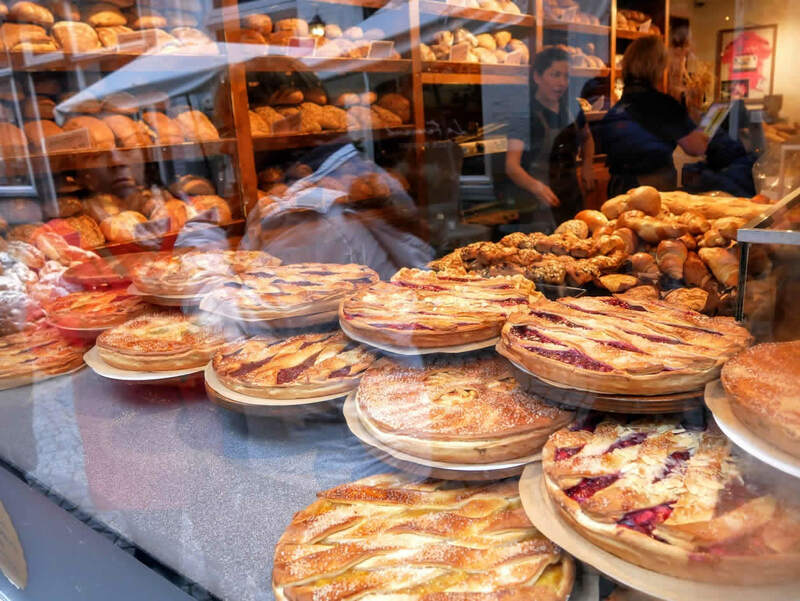 Order a Gateau Grenache at the Patisserie Royale (Wycker Brugstraat 13)… order in advance! Would really love to go to hear Andre in maestrick. Where are the cheapest places to stay. The market is on Friday. Some of the above places i have visited were fantastic and the rest places i wanna go there..awsome pics..